LG has announced the LG G Flex, a smartphone with a curved display, will hit the Canadian shores very soon, and will be exclusively available from Rogers. The company failed to provide an exact launch date for the handset, but mentioned it will hit the shelves in “Spring” later this year. 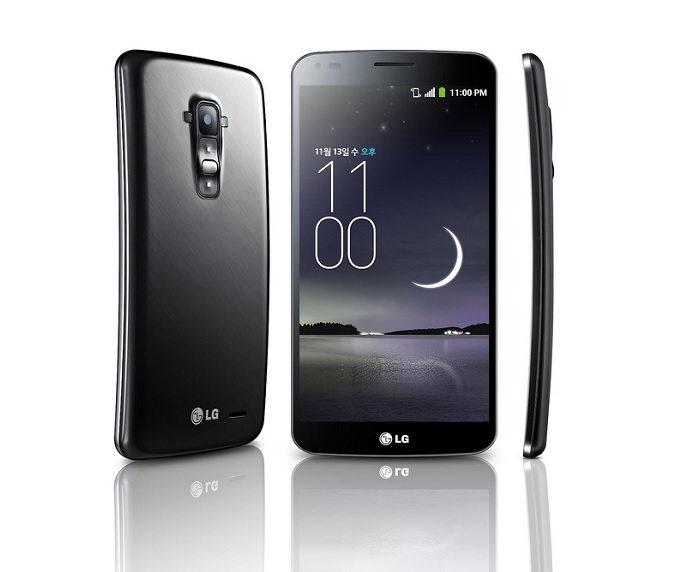 “As the first curved smartphone on the Canadian market, the LG G Flex is cutting-edge from the inside out, offering Rogers customers a unique smartphone experience. The G Flex further establishes LG as a premium brand with a product that is poised to reinvigorate excitement in the smartphone category for 2014,” said Ross Snow, vice-president Mobile Communications, LG Canada. For those of who need a refresher, LG G Flex comes with gigantic 6-inch curved P-OLED display sporting a resolution of 1280 x 720 pixels, and is powered by a Snapdragon 800 chipset clocked at 2.26GHz, 2GB of RAM and 32GB of internal storage on board. Other features include a 13MP camera for photos and videos, 2.1 megapixel front-facing camera, a 3,500 mAh battery, WiFi, Bluetooth 4.0 and runs Android 4.2.2 Jelly Bean pre-installed out of the box. There’s no word about the pricing plan it will come with, but we’ll update you as soon as Rogers announce it.